Power Minister R.K. Singh's Bihar is now 100% electrified; what about PM Narendra Modi's Uttar Pradesh? Although UP has electrified 5.1 million homes so far, more than any other state, officials in New Delhi doubt it will achieve the target of full electrification by December 31. On October 25, a surprising but pleasant news came from Bihar. All (willing) households in the state have electricity connections, irrespective of their location. The news has come two months before the deadline of December 31, which has been set for electrification of all Indian households under the Pradhan Mantri Sahaj Bijli Har Ghar Yojana (PMSBHGY), or Saubhagya. Power Minister R.K. Singh, a lawmaker from Arrah, Bihar, has been credited for this exercise. Though Singh's Bihar might have achieved the target, PM Narendra Modi's Uttar Pradesh (Varanasi is his Lok Sabha constituency) lags. Although UP has electrified 5.1 million homes so far, more than any other state, officials in New Delhi doubt it will achieve the target of full electrification by December 31. The state has completed only 38 per cent of the task, and still has to electrify 8.8 million homes in the next two months. Countrywide, 13.9 million households are still awaiting electrification; majority of these are in Uttar Pradesh. In his election campaign in 2014, PM Modi had wooed voters with a promise to bring electricity to every household. In March-April 2019, when he would seek re-election, his work will be judged on these statistics. While on-ground work so far may have been good, and electrification has been achieved in many households, Modi's poll managers worry that Uttar Pradesh might play spoilsport. Towards the end of September 2017, Modi had launched the ambitious electrification plan with a capital outlay of Rs 16,000 crore, to provide electricity to all households. Earlier in 2015, the government had also launched a scheme to provide continuous power supply to rural India. In May this year, DDUGJY completed the task. At that time, Bihar had electrified nearly 3.2 million homes, next only to Uttar Pradesh (with pending task of taking electricity to 13.9 million houses). Uttar Pradesh can follow Bihar's example. The solutions are not only technical, but also require political recourse. Bihar Chief Minister Nitish Kumar returned to the National Democratic Alliance in July 2017, and about a month later, after a Cabinet reshuffle, Singh took charge as Power Minister from Piyush Goyal. Electrification of all homes became a target for both Kumar and Singh. Taking electricity to every household is a complex matter in Uttar Pradesh. Many unelectrified homes are using electricity illegally. Along with this, all the five distribution companies in the state are battling huge aggregate technical and commercial (AT&C) losses of 37.92 per cent (AT&C is used to measure electricity use, and illegal and unbilled consumption can also be measured). The two distribution companies that are responsible for supplying electricity to southern and eastern parts of Uttar Pradesh, have nearly 40 per cent losses. 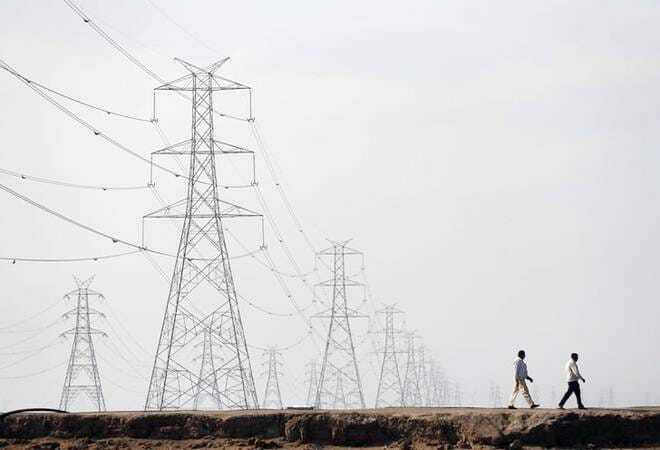 Yogi Adityanath's government has cracked down on the illegal connections, but since transmission reforms are slow to take place and the mechanism to send bills and recover payments is also slow, full electrification of the state will take more time. Losses in Bihar, too, are high, nearly 40 per cent, but that is largely because of lack of billing the electricity consumption. Against the national average of above 1200 KwH per capita, electricity consumption in Bihar is 229 KwH. The state also requires an overhaul of the distribution and transmission network to ensure that all homes in the state are electrified. Other states, too, need to shape up, especially with elections coming up in 2019. This includes Assam (over 1.2 million unelectrified homes), Meghalaya (0.14 million), Tripura (94,478), Nagaland (86,821), Manipur (48,104), Arunachal Pradesh (78,003), BJP-ruled Uttarakhand (89,803), West Bengal under Trinamool Congress' Mamata Banerjee (169,893), and Odisha (0.94 million) under BJD's Naveen Patnaik. Power ministry officials say that it will be difficult for many states to meet the deadline but it is doable. But they, too, are worried about Uttar Pradesh. Green shoots are visible in Uttar Pradesh but the state requires more innovative ways to be able to achieve the electrification targets. This includes more expansion and acceptability of mini and off-grid systems, policy and regulatory clearances for more prepaid connections, transmission reforms and replacement of inefficient billing mechanism. The state may well be the next on Singh's list.